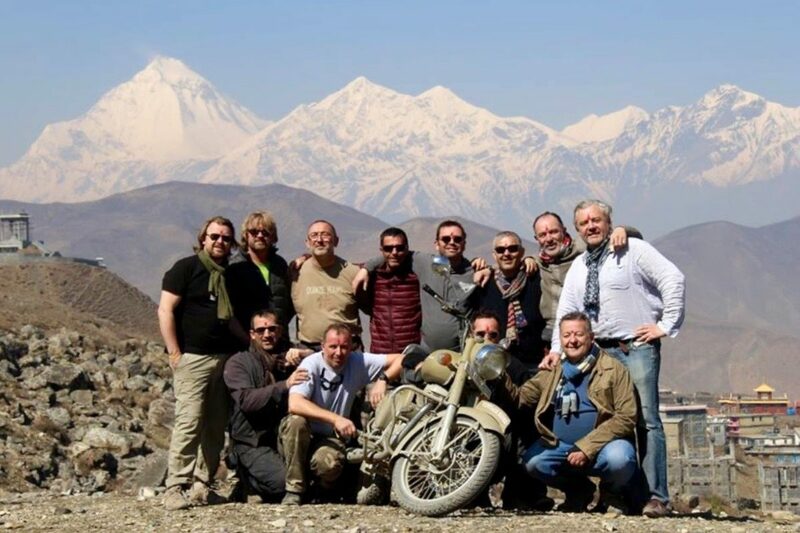 Take a legendary motorcycle, the Royal Enfield, throw in some adventure-hungry bikers, and unleash them on Mustang’s rugged trails – for a motorbike raid like no other! 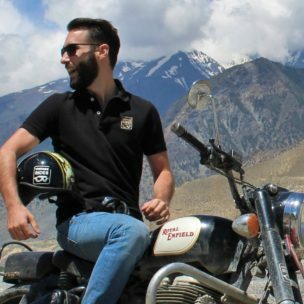 Francis is a biker always venturing out on the road to uncover new routes with as much passion as he has telling stories. He is an enthusiast and knows our itineraries like the back of his hand. 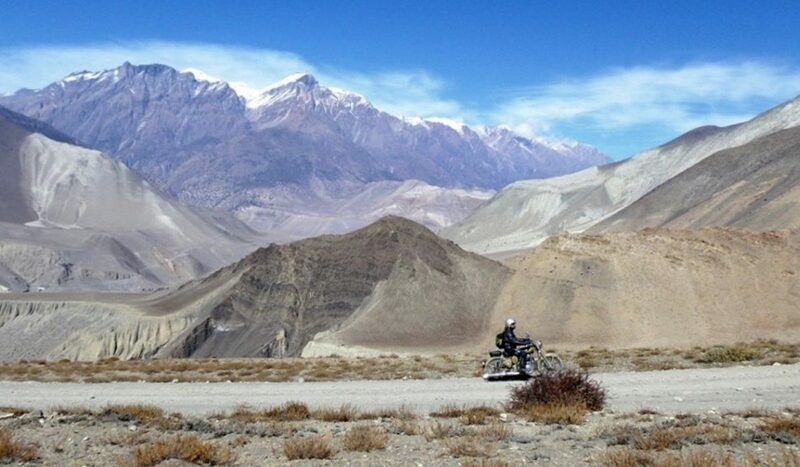 An exceptional, action-packed motorbike tour in the land of Buddha and Everest. 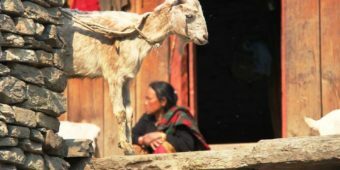 Survey a string of very different landscapes, as you discover the rich diversity of Nepalese culture. 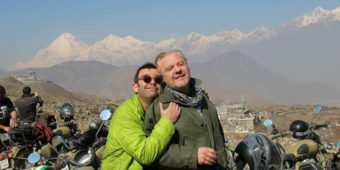 It’s hot to begin with: you steer close to the Terai jungle, visit superb Newar temples, and ride between rice fields and terraced crops. 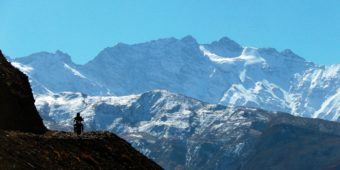 Then you begin to sense nearby Tibet: Annapurna and Dhaulagiri display their purity. 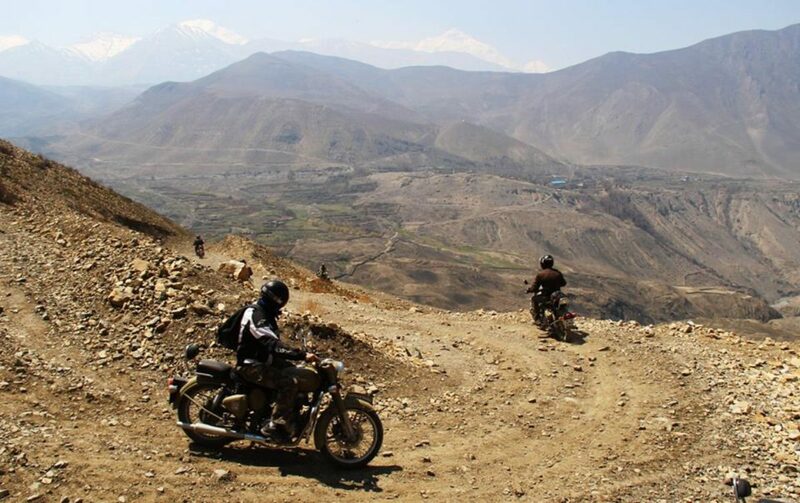 And now you’re on the rough trails of Mustang, in Buddhist lands. Royal Enfields are easy-to-drive machines that can go everywhere. Look after them and they’ll carry you to great heights. 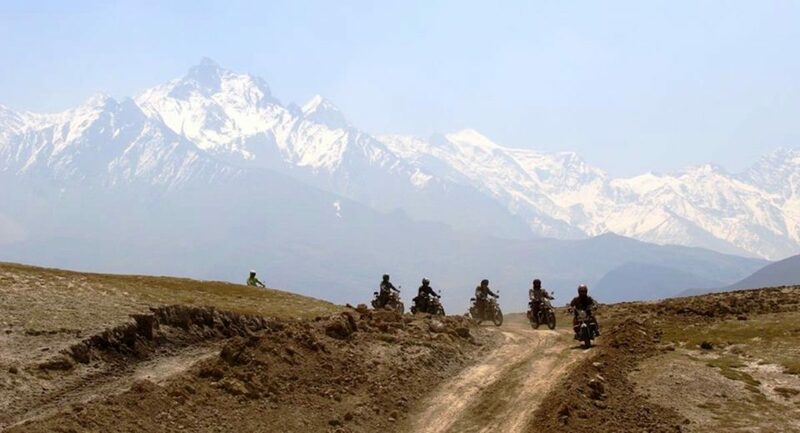 A motorcycle expedition for seasoned riders out to test their limits and experience the ultimate. 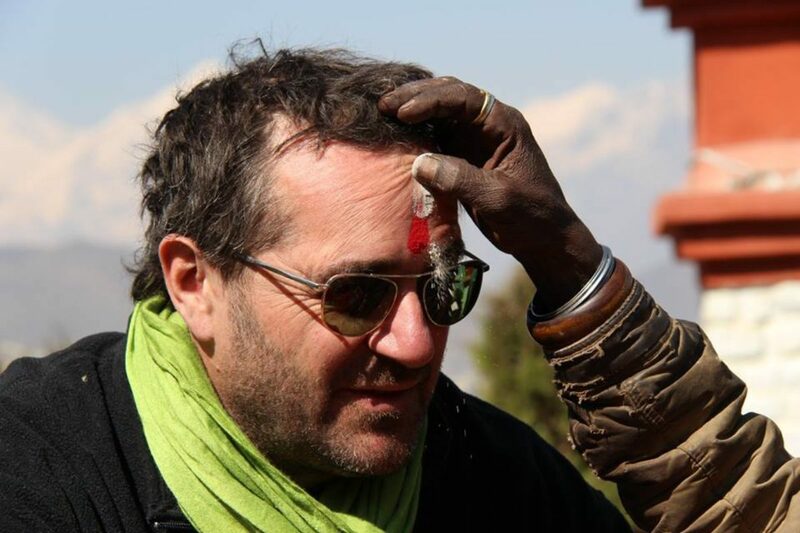 You’re met at the airport according to your flight schedules and transferred to Patan. Your room is available from midday. 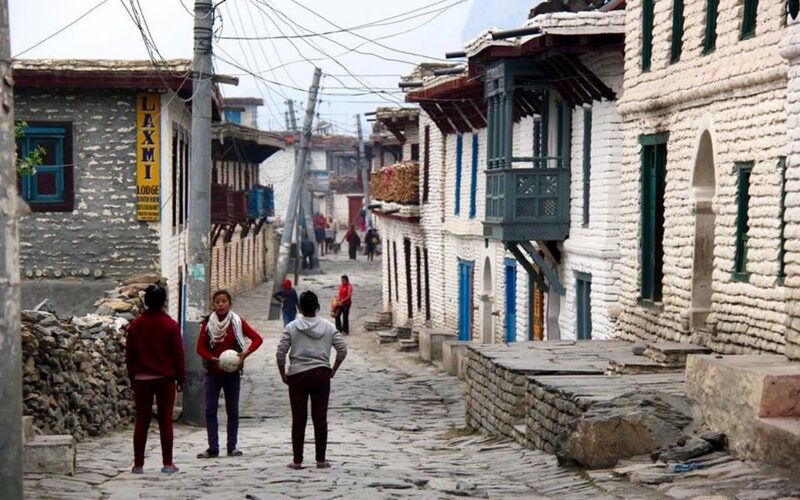 This "city of beauty", as the Nepalese call it, is authentic and full of life, the perfect place to spend your first day acclimatising. 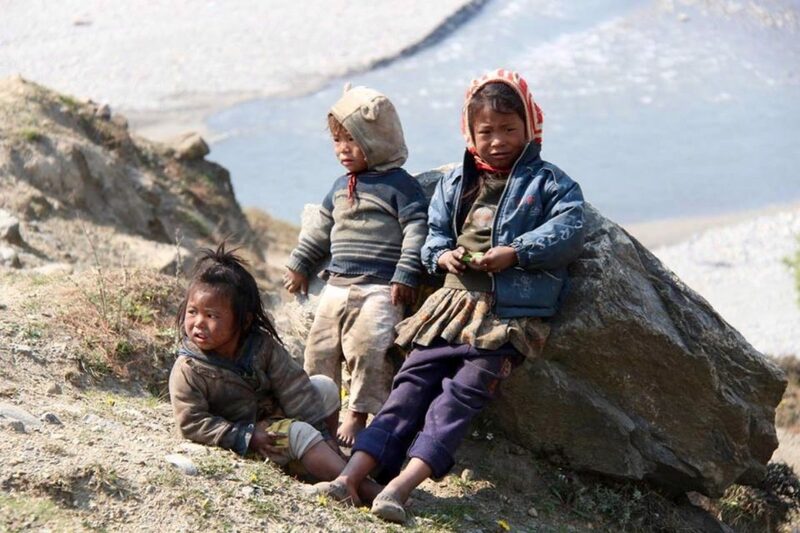 We head southwest from Kathmandu, where we truly begin to appreciate rural Nepal. 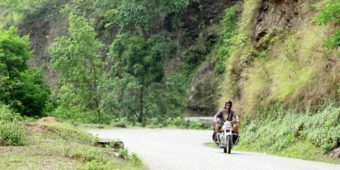 The landscape changes from one valley to another as we navigate roads that wind through traditional villages and terraced fields until we reach the Terai.. In the afternoon, we take a walk through Chitwan National Park’s jungle, where the abundant flora and fauna contrast nicely with the mountainous Himalayan landscapes. Today, we spend the day in the depths of lush nature. 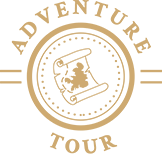 A guided safari will provide will provide sightings of one-horned rhinos, monkeys, crocodiles, and if we’re lucky, an unforgettable encounter with a Royal Bengal tiger, leopard or bear. In the afternoon, we venture into the dense jungle and take a boat ride along the Narayani river to watch Asian crocodiles in their natural habitat. We head northwest, making our way out of the jungle up winding mountain roads to Tansen. 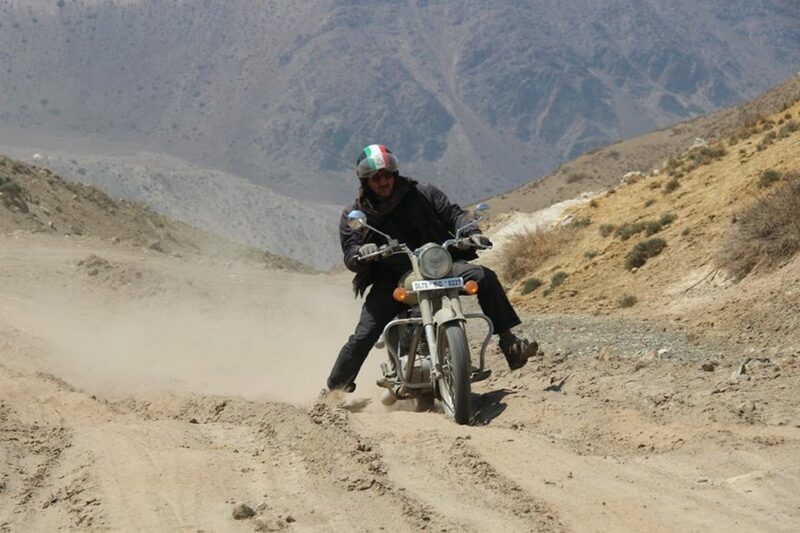 These roads are a real playground for our Royal Enfields! 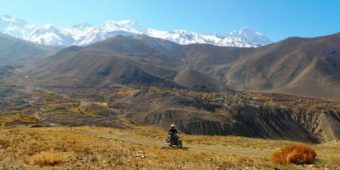 We visit a remote village, off the beaten track, perched on the mountainside where the quaint streets and locals’ nonchalance make for a relaxing setting for a stroll around after a long day’s ride. The leg to Pokhara is beautiful. The road is good and climbs up through the lush Aadhikhola river’s valley. We arrive near Phewa Lake in the afternoon and can enjoy some free time. 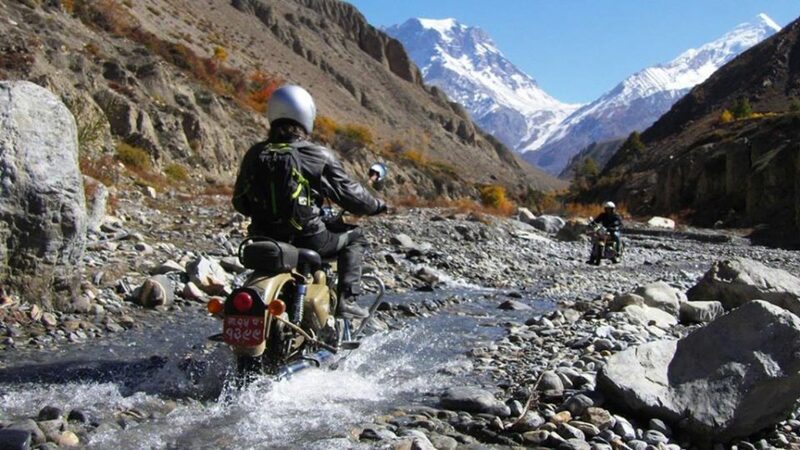 The ride to Mustang begins! After around 50 miles, we pass through Beni, where we leave the tarmacked roads behind us and the real fun begins! 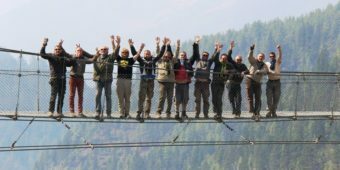 The track follows the Kali Gandaki river, where the valley gradually narrows and we finally catch a glimpse of the snow-capped Annapurnas, towering at more than 8,000 m altitude! This short 30-mile leg proves that Mustang is worth it! 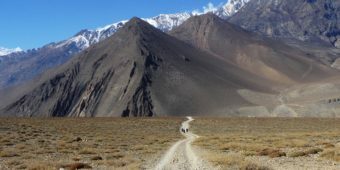 The first stretch to Ghasa (11 miles) is the most difficult, for both man and machine: the track is rock-strewn and very steep in places and we have to cross many fords! The landscape is truly spectacular, giving us the energy we need to push on and move forward! We arrive at Marpha, a typical Mustang Buddhist village, in the early afternoon. Today we explore the ancient kingdom of Mustang, an imposing territory of rocks and deep canyons, dominated by the highest peaks in the world! 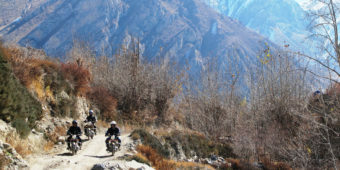 We cross Jomsom, the valley’s largest village, and gain altitude, passing the 3,500 m mark. We push on through this amazing mineral landscape and reach Jharkot, a medieval Buddhist village perched on a rocky outcrop. 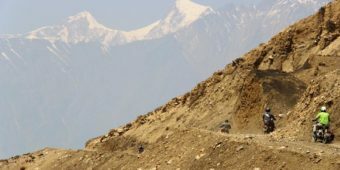 In the afternoon, we climb higher still to Muktinath (3,700 m). After an early breakfast, we descend into the Kali Gandaki valley on a deserted track, carved into the mountainside. 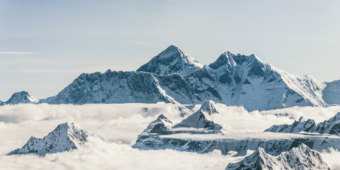 The view of Dhaulagiri’s summit, at over 8,000 m, is an incredible sight that almost seems too good to be true. We get back on the same road as the day before but head in the opposite direction to reach the first conifers we’ve seen for a while and Tukuche village. What goes up must come down! The descent will prove a real challenge. It’s hard to believe that we’ve already been on this track – everything looks so different when we’re facing south! Once again, man and machine are put to the test to reach Tatopani, where we can finally enjoy a chilled beer whilst relaxing in the hot springs. We enjoy the first 16 miles of dirt tracks, before getting back on comfortable smooth roads! A tasty traditional meal awaits us at Sarangkot, a popular spot among paragliders that affords an exceptional view over Pokhara and Phewa Lake. We ride another 12-mile stint to reach Begnas Lake, a quiet, beautiful oasis where we end the day relaxing with a swim or a massage. 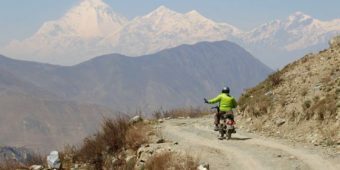 A beautiful long day's ride takes us back towards Kathmandu. Along the Trishuli river, we come into contact with locals on our path, which passes abundant rice paddies, pine forest and imposing gorges. We stop for lunch in the delightful village Bandipur, before continuing on to Nuwakot. We spend the night in a charming traditional house with a wonderful view of the valley. After a hearty breakfast served on our guesthouse’s roof garden, we hit the road for our last day of biking. We follow a narrow, beautiful road towards Shivapuri National Park, before returning to the capital for lunch, where we bid farewell to our trusty steel steeds. 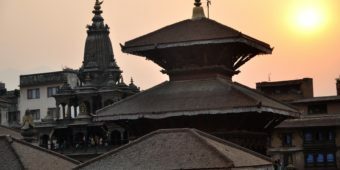 In the afternoon, you can visit Boudhanath stupa or Pashupatinath temple. We spend our last evening in Kathmandu, in the lively Thamel neighbourhood. You will be transferred to the airport according to your flight schedule. This is where our services end. You take off in a Jetstream 41​ airplane​. 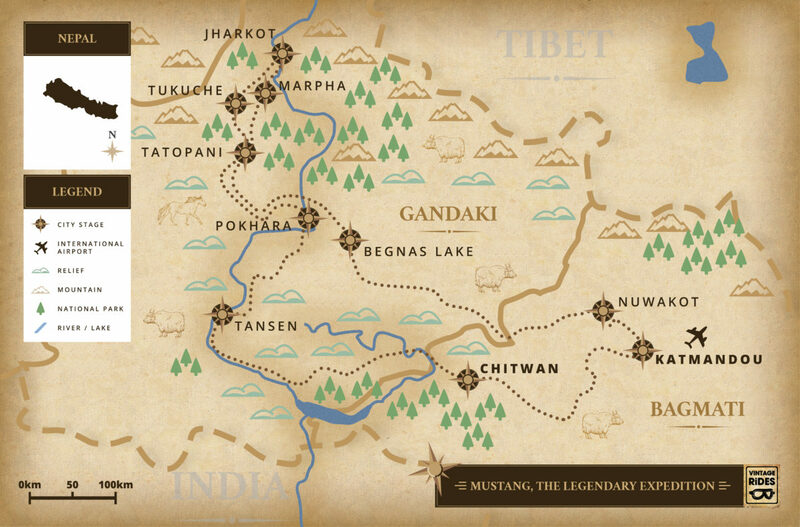 ​You fly over Mount Everest, the roof of the world, standing proud at 8,848 metres! 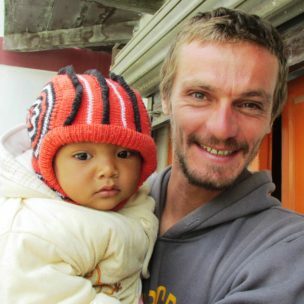 You’ll also be able to take in other legendary peaks: Annapurna (8,091 metres), Lhotse (8,516​ ​metres), Nuptse (7,861 metres), ​etc. Mustang .... just do it !